I met Storm Thorgerson - who passed away today - a few years ago. As an avid Pink Floyd fan, I was keen to meet the artist behind so many of their iconic album covers. The opportunity came in 2010 at an exhibition held at the Gallery@Oxo in London. 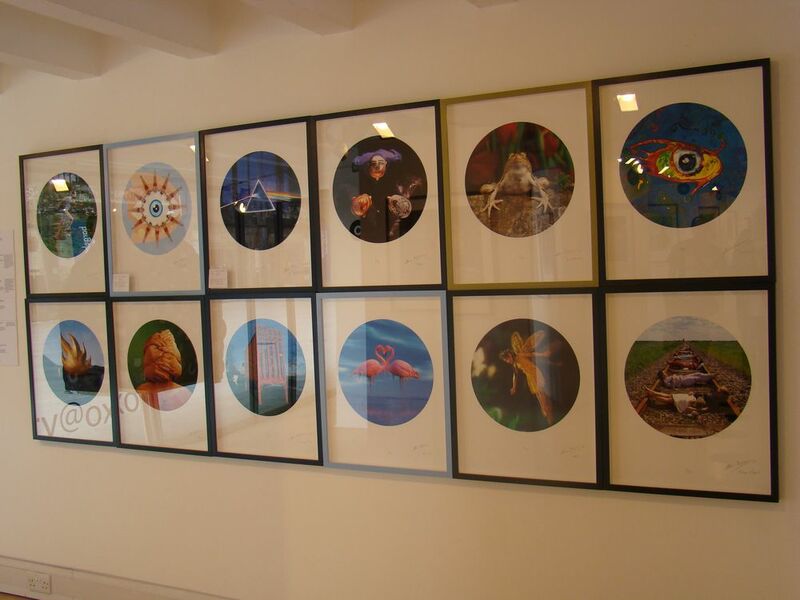 For The Love Of Vinyl was a celebration of the 12" LP covers created by Storm and the Hipgnosis team. As well as the classic Floyd art, they were responsible for album covers for Led Zeppelin, Peter Gabriel, Muse, Genesis, Wings, Yes...the list goes on. The artwork they created always complemented the music but never overshadowed it. It's his work with Pink Floyd that Thorgerson was arguably best known for. The cow on Atom Heart Mother, the representations of absence on Wish You Were Here...and, in particular, the instantly recognisable prism artwork that features on The Dark Side Of The Moon. He turned up at the exhibition - fashionably late, without fanfare - and promptly sat behind a table loaded with copies of the For The Love Of Vinyl book. It was bizarre seeing many visitors to the event walk right past him, clearly unaware who he was. At first, Storm was a curmudgeonly soul, tersely answering questions as he chain-munched his way through a box of chocolates. However, it wasn't long before he was cheerfully and enthusiastically talking up the benefits of our purchasing one of the limited edition Dark Side oil prints he had on sale. We didn't need much convincing. Soon we were the proud owners of an autographed prism print (it's the one on the bottom left of the picture), one that hangs on our study wall to this day. Storm Thorgerson's contributions to album cover art were extensive, brilliantly conceived and executed. A sad loss indeed.